Seiko has just announced it will open a new flagship store in Tokyo, located on the first level of the Wako department store in Ginza. Before this the Seiko store run by Wako (which is owned by Seiko Group) was located round the block from the main Wako store at Ginza junction; various other Wako stores including a cafe are scattered around the area as well. 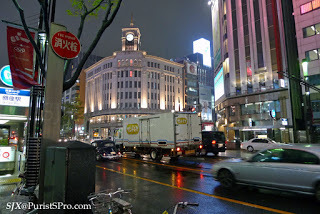 Though the current Seiko salon is well equipped, it’s not on the main Ginza thoroughfare as the Wako department store is. When the renovated Wako store opens on 24 June, the first level will display Seiko watches and the basement will showcase Seiko clocks. Currently the basement is the fine watch department of Wako, displaying high-end watches of all brands. I think this is a smart move to showcase the Seiko brand in a premier location. And it’s also good news that Wako is renovating; the few times I stepped in before it felt like an extraordinarily stiff and conservative, but very high-end, store.